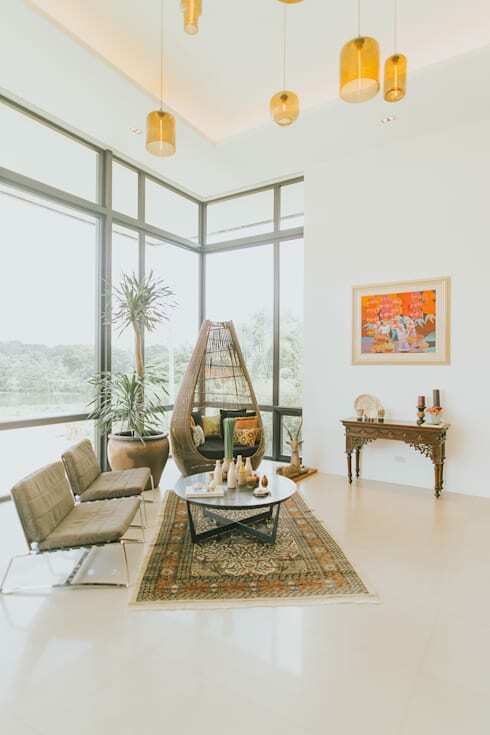 As the architectural world is evolving, current housing trends in the Philippines opt to also follow the Western culture. While impressive, these forms are not exactly the best for our tropical climate, which establishes the importance of using indigenous materials in Filipino architecture. 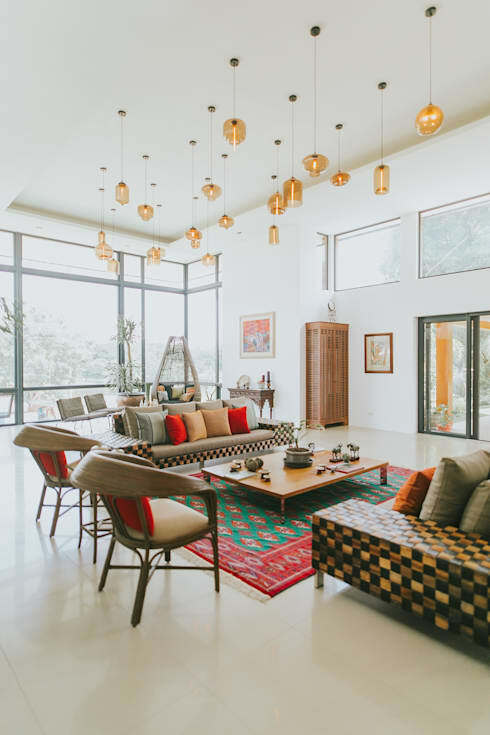 Using indigenous materials in your homes not only lessens the energy and operation costs that is much noticed with foreign style, but it also helps the sustainability of these materials and shows pride on our products. Here's a helpful list of 6 indigenous materials that are popular and common in any Filipino home setting. A finely crafted piece of furniture can make all the difference in a fine home. With the country's wide abundance on a lot of types of wood, one specific wooden material that is best used as furniture for homes is Narra. Non-locals may not know this, but Narra is hailed as the country's national tree. 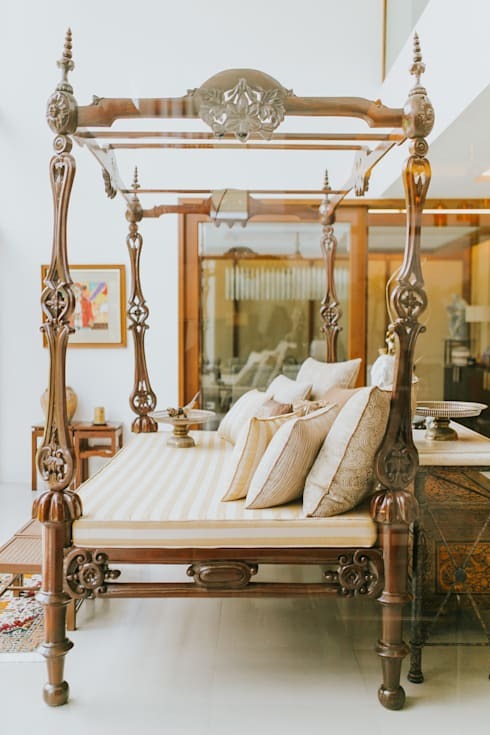 Used as furniture, Narra can be featured through lovely cabinetwork, sturdy headboards and beds, and even crafted into intricate details like this piece above. Rattan is made up of thin pliable stems of a palm that originated in Southeast Asia. Rattan is a very good material, mainly because it is lightweight, durable, suitable for outdoor use, and, to a certain extent, flexible. 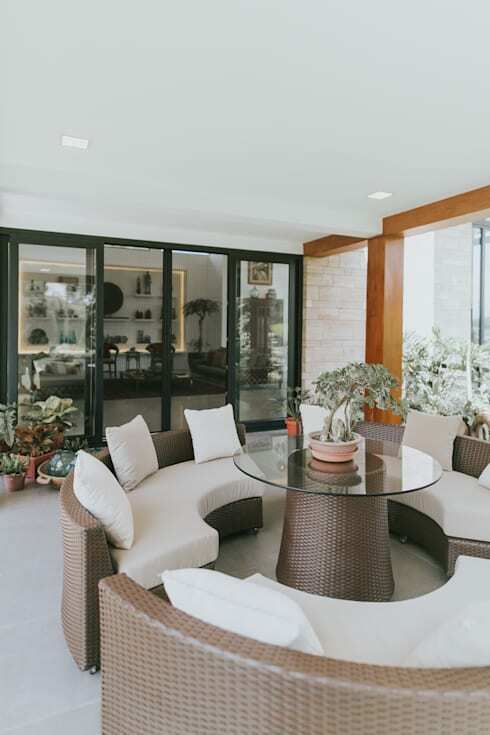 It is a well-loved favorite of homeowners who enjoy furniture pieces and decor that bring a touch of indigenous and natural appeal to their interiors. 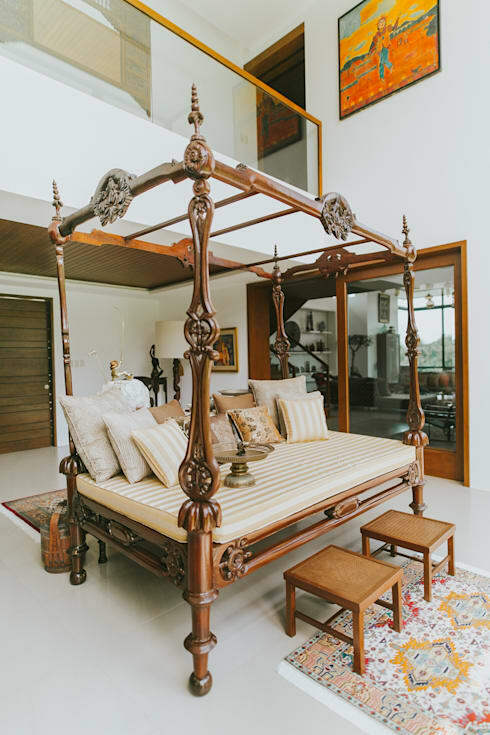 Highlighting the concept of a ’banig , which is a handwoven mat usually used in East Asia and the Philippines for sleeping and sitting, this furniture set features palm or buri’ as seat coverings for the sofas. Usually mistaken as a textile, this kind of material is actually made of from dried leaves that are sometimes dyed before being cut into strips and woven into a mat. Notice the criss-crossed pattern showcased on the sofas. Wondering what the material is made of? It's not just any type of wood, it's Santol wood! Santol or cotton fruit is common in the Philippines. What most people don’t realize, however, is that the santol fruit is ideal as a wood alternative. While the material is less dense compared to other wood variants, it is actually very easy to work with. With correct curing, this wood is highly resistant to wood borers, making it ideal to use as skeletal framework. Abaca, a plant closely related to the banana, has unique fibrous leaf stalks originally used in making rope. With its versatility and wide availability in the market, Filipino interior designers have found a deep admiration with Abaca. It can be used in both furniture pieces and interior decoration. 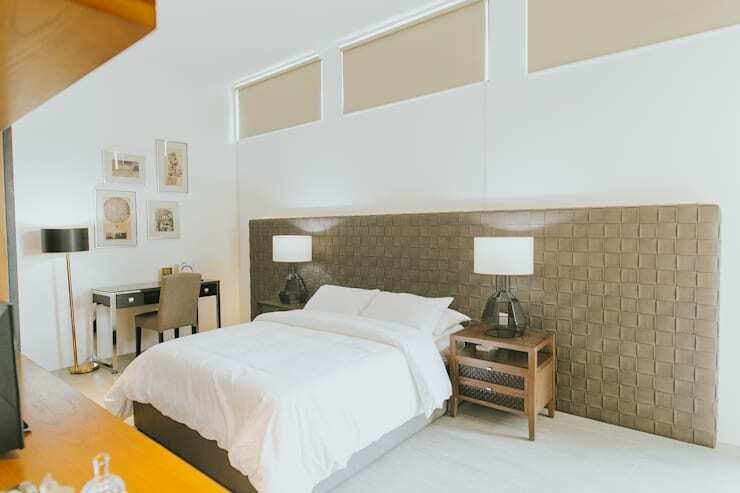 Picture above, the bed's backboard features Abaca painted in beige. It tries to imitate a bed back cushion, and still keeps the Filipino roots alive. 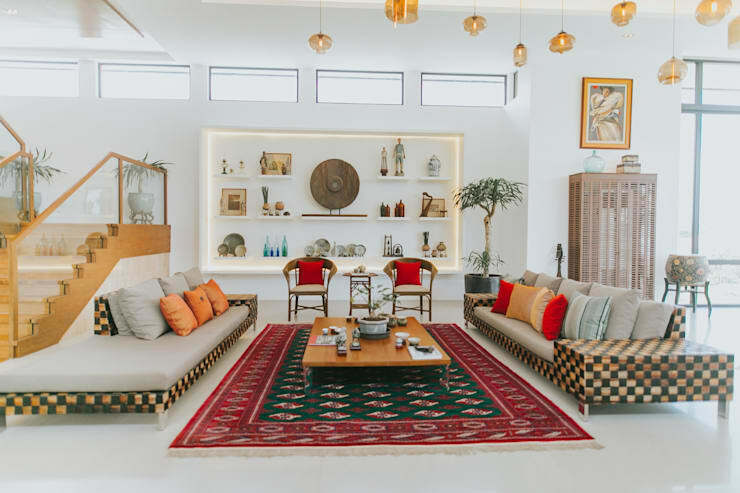 Husked, split, scraped, and extracted from the fruit of the coconut palm, coconut shells are now introducing a fresh amazing trend in Philippine architecture, interior design and decoration. Coconut shells are usually used as decor. It can be cut into pieces and glued altogether to form a lovely work of art, or left alone in it rounded shape. In this living room, coconut shells are featured in the wall decor. Small pieces are incorporated to create that round, rustic artwork. Check out this ideabook, Best building materials for any Filipino home too!